Jerry lives in the Algiers area of New Orleans, LA. He is important to the 1918 "Tarzan of the Apes" movie because his cousin Gibbs owned a boat that was used in the film. Besides a few spears, the boat is the only other artifact to surface from the 1917 film as of this writing. I learned about Jerry through his friend Danny Le Day who is a barber in the Thibodaux/ Houma area of Louisiana. The boat was crafted in the late 1800s out of one piece of cypress. According to Jerry, the producers of the movie drove a truck out to his cousin’s house and rented the boat to either be in the movie or used to carry equipment or filming. Since over half the original movie has been lost, it is very possible that the boat was in a scene that was cut. It is not only noteworthy that the boat was used in the first feature film shot in Louisiana but also some 90 years later it was used again in the making of a movie in Louisiana. This new film was "The Curious Case of Benjamin Buttons." This boat was also on display in the 1984 World’s Fair in New Orleans. Jerry was a little hard to contact. I got his phone number without any problem but he was seldom at home. He fishes most of the time. If he wasn’t fishing, he was watching some type of sporting event for LSU. When I did get him on the phone, he was pleasant and we were able to set a time for the interview. Caption three: This is one big kettle. 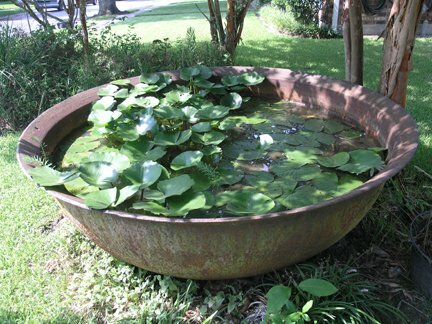 He lives in a two story home that has a giant iron pot in the front yard. It is big enough to make even the most devout missionary feel ill-at-ease. His home looks and feels comfortable and inviting. As you can see from the photos, Jerry was wearing a captain’s hat. It wasn’t long into the interview before I could tell that Jerry was a showman at heart and he was in full character. His life would make an awesome documentary all by itself. He had theater in his blood. His relatives were entertainers on showboats that went up and down the Mississippi River. As for Cousin Gibbs, Jerry said he was a "healer." He knew how to use the old Cajun or natural cures gleaned from the bayou. It wasn’t uncommon for a "city" doctor who couldn’t find a cure for a sick person to send them to Gibbs. As a religious man, he wouldn't treat anyone who didn’t believe in God or who failed to believe that God could heal. Gibbs felt that God healed and he was simply His instrument. After a really great interview, Jerry took us out into his backyard to continue our filming. 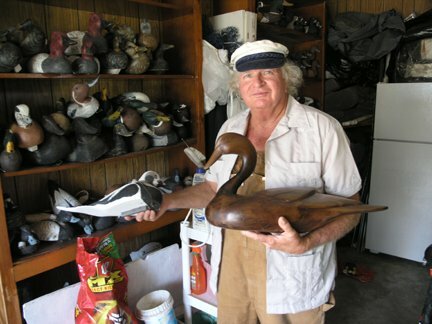 Now retired, Jerry still earns money by carving duck decoys. His birds are truly works of art that would look as great inside your home or on the water fooling ducks. He had been preparing for a trade show, so he had plenty of beautiful examples of his workmanship. 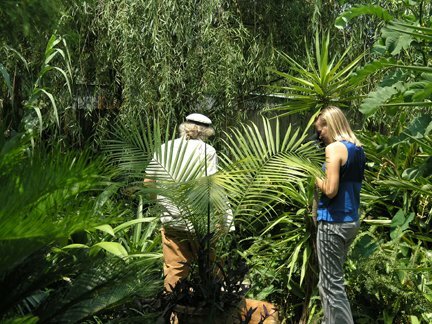 His backyard is a wonderland of indigenous plants and trees. He landscaped the fenced in area with a small pond, bridge and different plants he had found while on his fishing trips in Louisiana. It is beautiful but you have to really watch where you step because you get the feeling that you might step on a snake or an alligator. who makes them the old fashioned way. Jerry and his works of art. They make great decoys for hunting too.